If you are looking for a starter kit for electronic cigarettes, at a hard to beat price, Bull Smoke fits the bill. This E-Cig review of Bull Smoke will give you more information about this brand. Bull Smoke has one of the most economical starter kits around. They have 3 types of batteries; The Stubby, The Original, and the Kentucky. The Kentucky will give about 50% more charge compared to a standard full size battery. 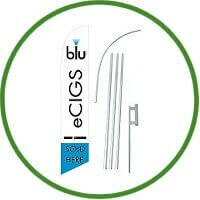 Bull Smoke provides excellent features compared to most of the top brands available in the market. Vapour is one of the main features available in the electronic cigarette. Lot of top brand electronic cigarettes produce enormous cloud of vapour. This feature attracts more consumers. Bull Smoke can compete with any of the top brands in vapour production. Battery life is the most important criteria for any electronic device. Bull smoke has recently upgraded their batteries, which will provide charge for a much longer time. Once you fully charge the device, it can with stand all night producing huge clouds of vapour. You can easily hang out for a night with Bull Smoke without worrying about its battery life. Another interesting thing about the battery is the logo. The logo is nothing but the picture of bull exhaling a vapour, which represents the intention of this electronic device. The City Slicker consists of ten different flavours. You can test all ten flavours and can select the best flavour out of these ten samples. They have some extraordinary flavours like apple, cherry, grape, tobacco and many more. You might have seen many types of flavours in electronic cigarettes except apple flavour. Apple flavour provided in Bull Smoke kit is a unique flavour with an outstanding taste. You will like all of these flavours except the chocolate flavour, which tastes like a rotten tomato. Coming to the last but not least that is Accessories. Bull Smoke provides replacement batteries and flavour cartridges but other than that they do not offer any more accessories. Although you can use accessories from other brands with this device, it is better to provide its own brand of accessories to the consumers. This serves as a major drawback for their device. Bull Smoke is around for a long time. Bull Smoke provides excellent features compared to most of the top brands available in the market. With their low pricing and marketing, they should continue to be successful. If you are looking for a reliable product without whistles and bells, try Bull Smoke, you will not be disappointed.